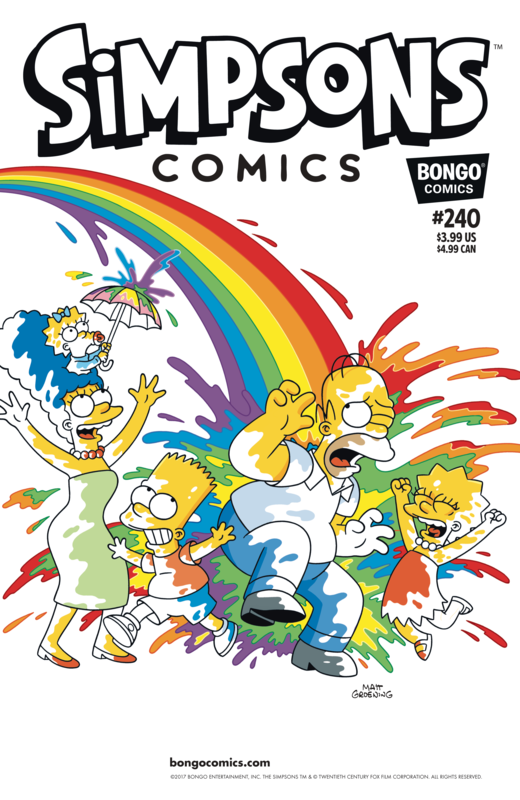 Simpsons Comics #240 is the two hundred and forty issue of Simpsons Comics and was released on July 19, 2017. "Homer joins the stress-reducing, adult coloring book craze, but before long his new daily obsession begins to creep into his dream life. Then, spend an ordinary (or maybe not so ordinary) day in the life with Marge Simpson." Modified on October 30, 2017, at 15:01.